The event was held Thursday (26/10) at the Stadium of Light. The Awards Ceremony featured an impressive line-up of Wearside and East Durham businesses that had made it to the shortlist, alongside some local celebrities. The evening’s proceedings featured seventeen different awards with Media Savvy being entered and shortlisted for two. 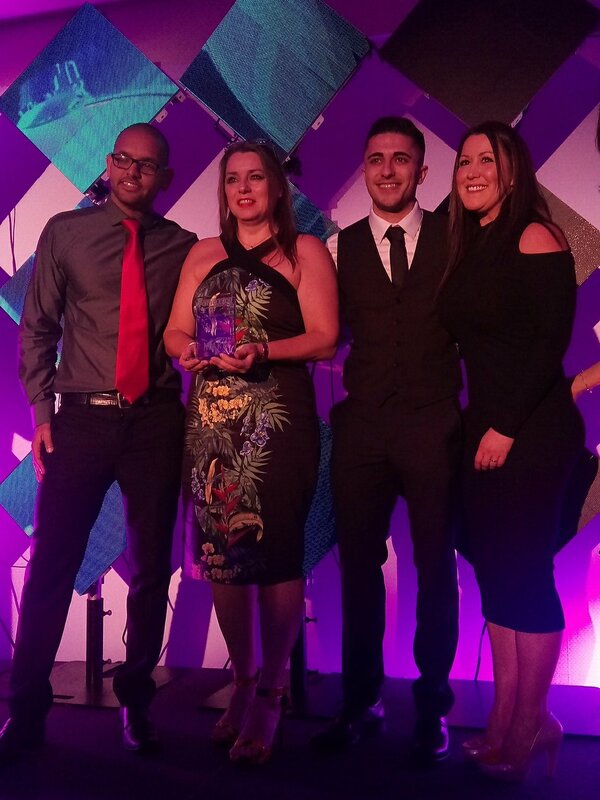 They won the ‘Social Enterprise Award’ and picked up the Highly Commended Award for ‘Best Training Provider’, fending off stiff competition from multi-million pound turnover businesses. Dan launched Media Savvy CIC in 2010 with support from the University’s Enterprise Place and the multi-award winning business has gone from strength to strength. All of the four current full time staff are UoS graduates. Their success is founded in their commitment to inspire hard-to-reach individuals via non-traditional teaching and learning methods and by implementing a highly successful, personalised, learning by stealth approach. The primary aims of their courses are to improve the employability prospects of the participants, many of whom who are facing multiple barriers to gaining meaningful and sustainable employment. Peter’s confidence increased significantly during his time with Media Savvy. He is currently studying in his first year of an Animation & Games Art Degree at UoS, having already completed a one-year foundation course. These awards are the latest in a long line of accolades for the Sunderland-based social enterprise, now in its eighth year of training In 2012, the not-for-profit organisation was named ‘Best Start-up Business in the North East & Yorkshire’ from over 200 shortlisted in the inaugural Lloyds TSB Enterprise Awards.